A one way video interview would not only help you to know your candidate well, but would also help you to gain a deeper insight into that candidate’s personality in order to seal the deal effectively. Recruitment process is one of the most cumbersome part to start any project. The fresh talents which you hire, is the key element for the success of your firm. The talents which you hire pave the way for your firm to develop into well managed and efficient firm. A one-to- one interaction with the potential candidate is indispensable in order to bring that candidate on board. A one way video interview would not only help you to know your candidate well, but would also help you to gain a deeper insight into that candidate’s personality in order to seal the deal effectively. 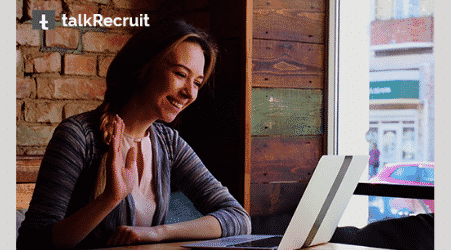 TalkRecruit is your one stop destination all your hiring needs. Hire the best talent for your firm with our one way video interview feature which helps you to segregate the best talent according to your need wherein you can analyse and evaluate the candidature according to your own parameters. You can easily assess the candidature with your own question set, allow the candidate to record their answers against your questions and easily assess them with your feedbacks and star ratings. Systematic candidate screening: This automated method allows candidates to respond to your set questions. It allows continuous workflow without requiring constant efforts and ensuring efficient hiring. Strike off telephonic interviews: Get away from the earlier ways of interviews. The candidates record their answer through a video message which could be reviewed by the client later on according to his time and convenience. Get instant feedbacks: Gather reviews from all the panelists. Now you can share your recorded interviews with other and allow them to reviews and give their feedbacks to unanimously decide which candidate should go further. Tailor made experience: Provide a custom made experience to the candidates using your branding features. Leave lasting impression upon your candidates. Build uniform interviews: Provide a holistic opportunity for every candidate to outshine others by establishing a justified and unbiased interview using the same set of questions under the same conditions. Flexible interview schedule: Make your interview schedule flexible for your candidates. Allow them to choose the convenient time slot according to your availability for an amiable and comfortable experience. What are you waiting for then? 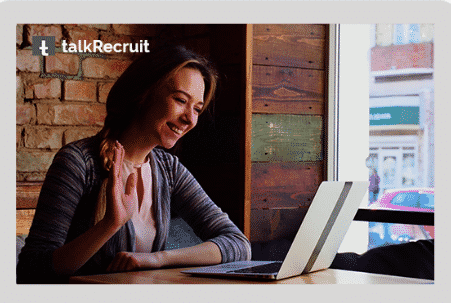 Set the ball rolling with your next hiring partner and select the best talent with our one way video interview platform only with TalkRecruit. Happy hiring to you.